I have a view overlayed on top of many other views. I am only using the overaly to detect some number of touches on the screen, but other than that I don't want the view to stop the behavior of other views underneath, which are scrollviews, etc. How can I forward all the touches through this overlay view? It is a subcalss of UIView. What I did is create a subclass of UIStackView with a property defining the subView that should be touchable. Now, any touch on the side buttons (included in the * viewsWithActiveTouch* array) will be given to the buttons, while any touch on the stackview anywhere else than these views won't be intercepted, and therefore passed to whatever is below the stack view. The code above, in your touchesBegan method for example would pass the touches to all of the subviews of view. After in interfaceBuilder just set class of View to TouchView and set active rect with your rect. Also u can change and implement other logic. Not the answer you're looking for? Browse other questions tagged events uiview touch or ask your own question. How can I click a button behind a transparent UIView? 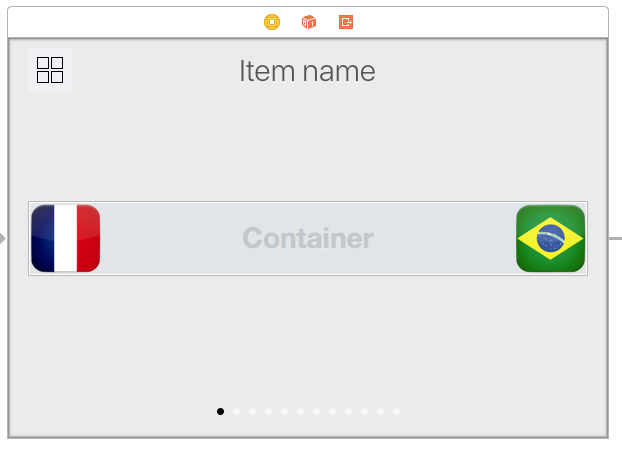 How to Make Touch Events Affect View's Behind a Container View? How to implement touch events in uiwebview?